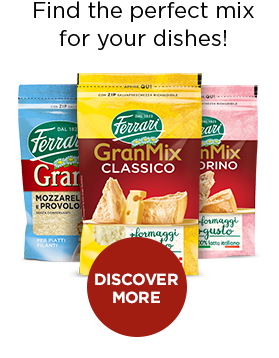 Discover our selection of grated cheeses. 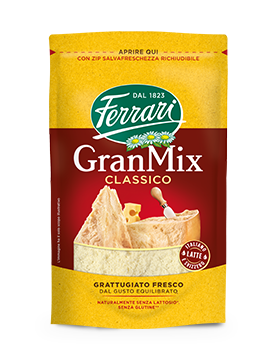 From Grana Padano, to Parmigiano Reggiano and GranMix, superior quality and practicality! 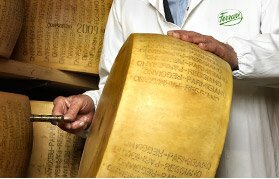 Made with milk produced in its designated area of origin and due to a long maturing period, Parmigiano Reggiano acquires an unmistakeable aroma and flavour, and becomes an indispensable ingredient for delicious recipes. 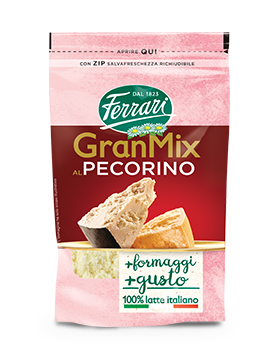 Made with milk produced in Valpadana according to the Grana Padano Consortium regulations, and carefully matured by Ferrari to bring to the table one of the best Italian traditional cheeses. 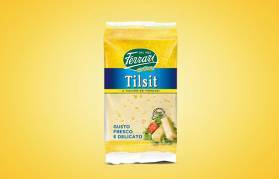 Tilsit, Emmental, Emalpino and Fontalpe: the best of Italian and non-Italian cheeses, selected and packaged by Ferrari especially for you. 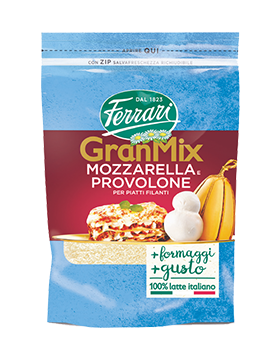 More flavour for your recipes, whether spectacular or every day dishes! 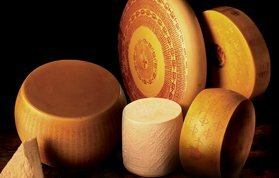 Experience a myriad of flavours by combining our cheeses with honey or preserves. Savour them with someone you love. 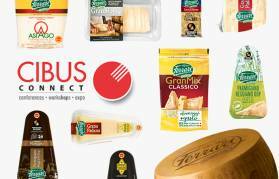 An innovation that comes from the tradition, discover what "Quality" means to us.